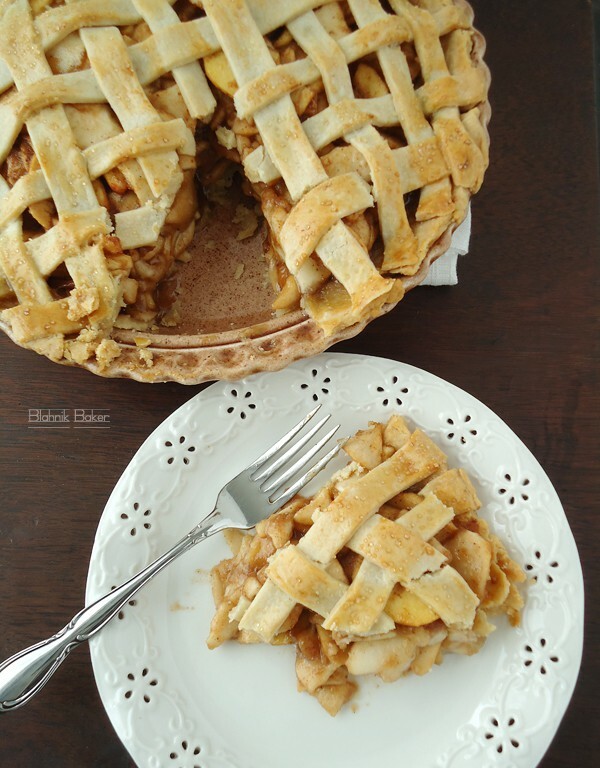 I was making this brown butter cheddar apple pie this weekend while talking to my dutch friend (Hi Raissy!). She asked me what kind of apple pie I was making and I told her a very buttery brown butter cheddar pie and she asked “No I mean, what KIND of apple pie?”. Apparently there are different kinds of apple pies. 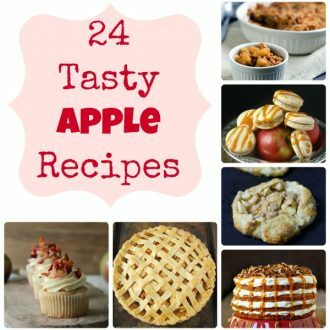 There is Dutch apple pie, French apple pie and of course American apple pie to name a few. I had a great lesson from her! Did you know pies originated from ancient Egypt around 9500 BC? (Wikipedia). 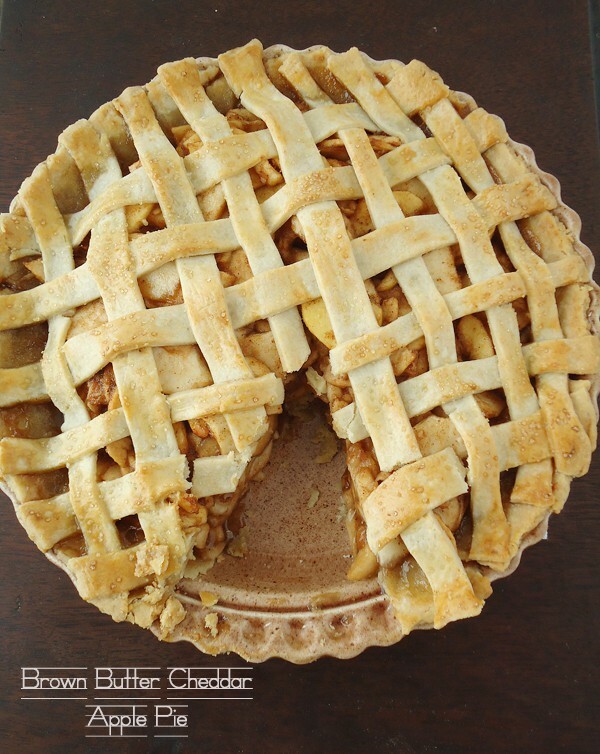 This brown butter cheddar apple pie originated from awesome-land. I added cheddar cheese to my favorite buttery and flaky pie crust, used in these cherry hand pies, giving the crust a soft burst of cheese in every bite. The apples are tossed in brown butter for that faint nutty flavor brown butter graciously brings to every party. I was in pie heaven from the first bite of this pie to the last. The apples are not masked in heavy spices instead they are wrapped in brown butter. Hands down my favorite apple pie! If you would like to take your traditional apple pie up a notch and let the apples shine, then this is the pie for you. On another pie-tacular news, have you seen the current Food Network Magazine issue? 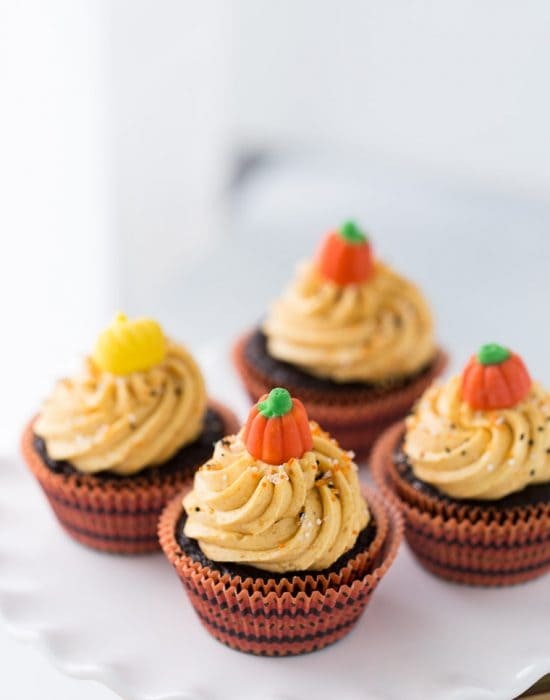 It is filled with lots of fall-inspired pies. You need to get a copy of this issue. I am currently debating how many I can squeeze on here before Thanksgiving and before you hate me. The hubby thinks five is the magic number and is voting for Pie Fridays. Obviously he has ulterior motives when it comes to his blog suggestions. What do you guys think? 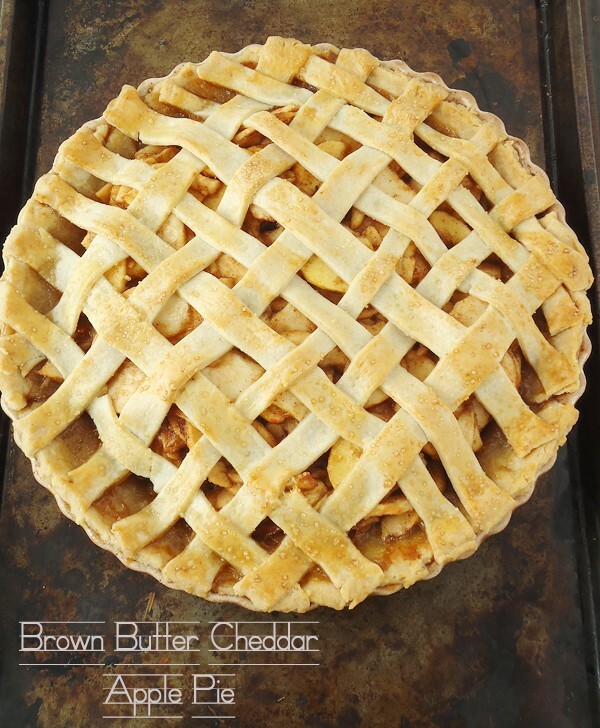 Cheddar cheese is added to a buttery and flaky pie crust to create this delicious Brown Butter Cheddar Apple Pie! In a medium bowl, toss the apples with the sugars, cinnamon and nutmeg. Let sit while you prepare the crust. Prepare ½ cup ice-cold water and keep in fridge. In a food processor, pulse flour, sugar and salt. Add in half of the butter and pulse for 30 seconds. Add in the rest of butter and cheese and pulse until the mixture looks like coarse meal. Sprinkle about 6 tablespoons cold water over mixture and pulse until dough comes together in clumps. If dry, add a little bit more water (1 teaspoon at a time). Remove dough from processor and form into a disk. Divide dough into two disks; one slightly bigger than the other and wrap in plastic wrap. Chill for about 30 minutes. The dough can be made up to 3 days ahead. Keep chilled. Let stand at room temperature 15-30 minutes before rolling out. Roll out larger disk on a lightly floured surface to a large circle. Fit into an ungreased 9-inch pie dish, crimping the edges into your desired style. Refrigerate for 30 minutes. In a small saucepan set over medium heat, melt the butter. When it starts foaming, whisk constantly until butter turns brown. Cool slightly before tossing with apples. Mix in the cornstarch until incorporated. Fill the pie crust with the apple filling. Pile it high! Roll out the second dough and cut into strips to create a lattice top. I used a pizza cutter for this. Size and number of strips depends on you. Create weave top and crimp the edges. This tutorial was very helpful. Whisk egg and 1 tablespoon of water in a small bowl. Brush the top of pie with egg wash and then sprinkle with turbinado sugar. 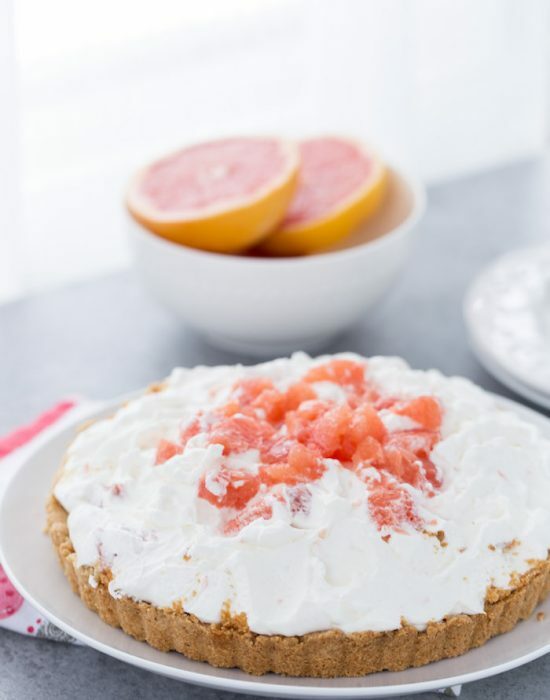 Place pie dish on a baking sheet and bake for 50-60 minutes or until the filling is bubbly. Check at 30 minutes and if edges are getting too dark, cover pie loosely with foil and continue baking. Let pie cool for at least two hours before serving. I am with your hubby on this one. 5 sounds good. Pretty please…. Hhahah I will listen to you two then! What a beautiful lattice crust! I love pie but mine are rarely ready for a closeup. I am still having issues with forming a beautiful crust. Lucky for me beauty isn’t required for exceptional flavor. I have heard of melting a slice of cheddar on top of apple pie, but adding it to the crust is brilliant. Jamie thank you very much! I did have so much trouble with pie crusts but finally I found a great recipe. Try this one and let me know what you think. And I need to melt a slice of cheddar on top of my pie…brilliant idea!! If I hadn’t already had the combination of apple and cheddar I would be looking at you through the screen like you’re a crazy person. Love that you put the combination in a pie! I winced too at first but I am so glad I tried it. Thanks Erin! Brown butter and apples has to be one of my very favorite combos ever. Throw in some cheddar and you’ll make me the happiest girl ever. This looks spectacular, and wow, girl, that lattice crust is gorgeous! Thanks Consuelo! This is my first time combining brown butter and apples and I love it! Can’t wait to try it again. I always scoffed when people put a slice of sharp cheddar on their apple pie, until I got over my limited thinking and tried it. Now its my favorite thing to eat! Brilliant adding the cheese in the crust. I pinned it with a little CL love. Thank you for the recipe! Wow — this apple pie looks top notch. Love that the apple flavor really shines through and isn’t heavily masked in spices. 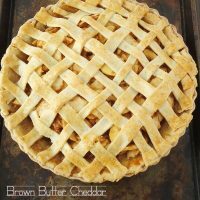 Your lattice crust looks incredible, and I’m sure the cheddar cheese adds the perfect contrast to the sweetness of the apples. This might be the most creative use for brown butter I’ve seen yet. I’m a little hesitant to make apple pie again. Some of my previous attempts have ended with dough being thrown against the kitchen wall (I’m not usually violent while baking, I promise). But this pie looks good enough to convince me to give it a try! “From awesome land” -> love it! And its totally true! Do you know how long I’ve wanted to try cheddar cheese with my apple pie? Forever, or so it feels. Paired with brown butter, this has to be incredible! Pinned! Your apple pie looks wonderful Zainab!! 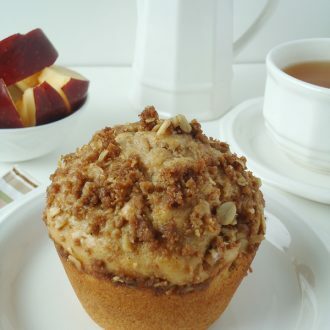 I am loving the combination of apple and cheddar right now- so yum! And with brown butter?! Your lattice top is beautiful too- I need lessons! Thank you Meghan! I would gladly help. Check out the tutorial linked above too. It was very helpful! This pie looks AMAZING !!! I would love a slice of this pie right now! Also, the pictures look great and such a beautiful lattice. That pie looks absolutely perfect!! Love the addition of the cheddar – delicious! This is one gorgeous pie, Zainab! 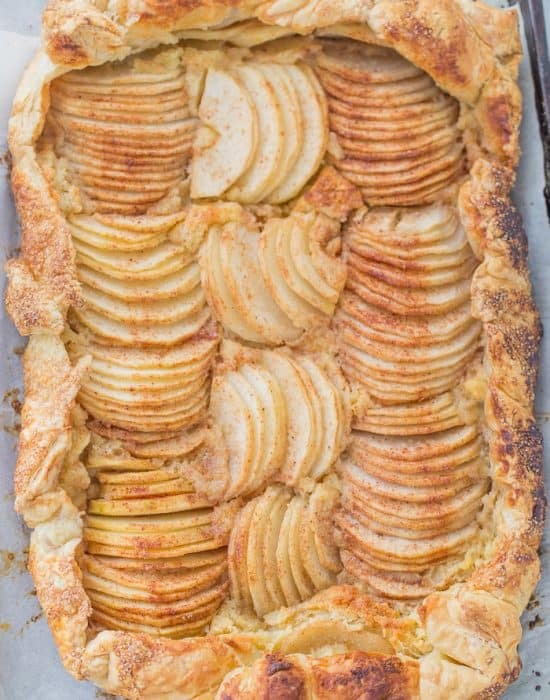 All those piles of apples in what looks to be a perfectly flaky crust. I want to dive right in! Thanks Marcie. The huge piles of apple didn’t disintegrate and that was my favorite part. This is the way they do regular apple pie in Maine. I love the combo. So glad you are sharing. It truly is delicious! 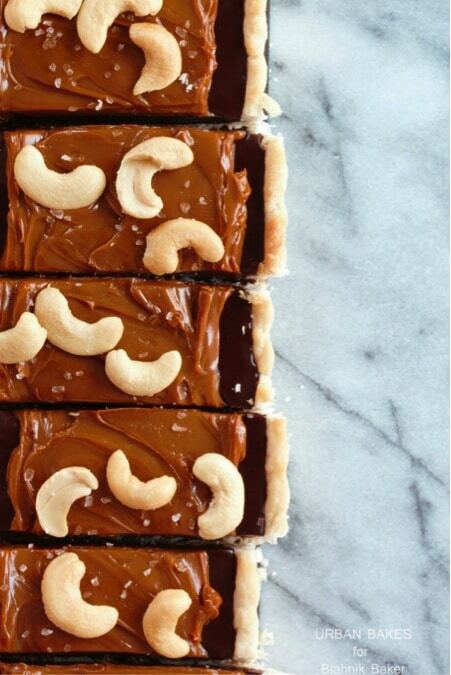 Mmm, this looks amazing. Gotta try the brown butter, cheddar combo, that’s completely new for me! Aww…I’m with your hubby for Pie Fridays! (You can do it in honor of him and make it all special. He’ll love it!) Beautiful apple pie, girl! Looks delicious. Thanks for sharing and have a wonderful autumn weekend! Yum! This looks incredible. I bet the cheddar really adds to the taste! Thanks! It really did and made the pie special. I’ve always wanted to make a cheddar apple pie! Sounds so great! So pinning this! And apple week is a great idea! Visiting from the Tuesday blog hop! Ok, yum! I would have never thought of adding cheddar cheese to this. Definitely going to have to give it a try. And can I just say, the most beautiful pie I have ever seen! Thanks for sharing at Show Stopper Saturday! Your pie looks delicious, and I love cheddar cheese with apple pie! I also love pies in general, so I am in major agreement with your husband. I vote for Pie Fridays! This pie looks really good. I love the attention to detail that you put in making your pie. It looks like it came from a bakery. Never in a million years would I have put cheddar cheese with apples in a pie. I’m definitely a rookie when it comes to baking obviously. Your pie looks delicious for sure. Pie Friday sounds awesome! This pie is crazy amazing. Wow. I really want to try it. I’m sure mine wouldn’t come out near as pretty as yours! Thanks for sharing on Saturday Night Fever! See you again this week! I love eating cheddar with apple pie – I tell myself that makes it a breakfast food. But I’ve never tried one with the cheese already included. It looks tasty! WOW- this pie is everything I want in a dessert. Aged cheddar and apples are such a tasty combo! Oooh brown butter and apple pie, a winner for sure! Thanks for linking up with What’s Cookin’ Wednesday! Looks amazing! Definitely going on my Thanksgiving menu this year, but unless I missed it in the directions. Where does the cheddar cheese come in?????? I’m guessing along with the butter?